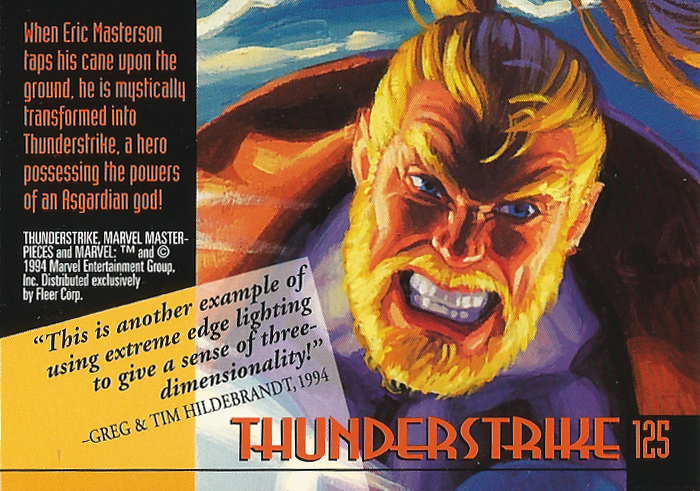 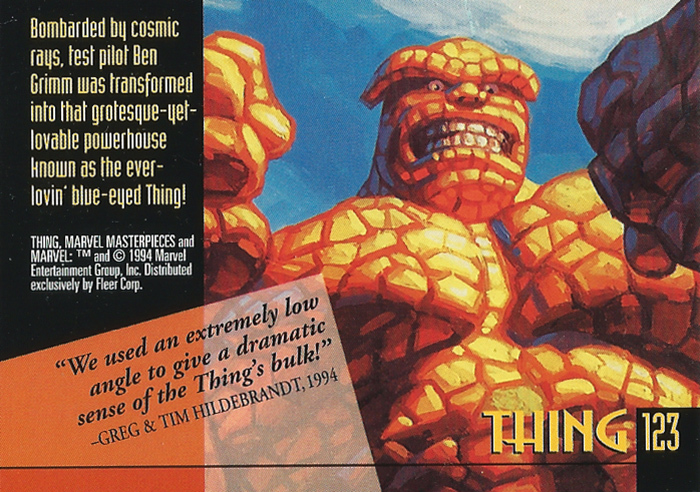 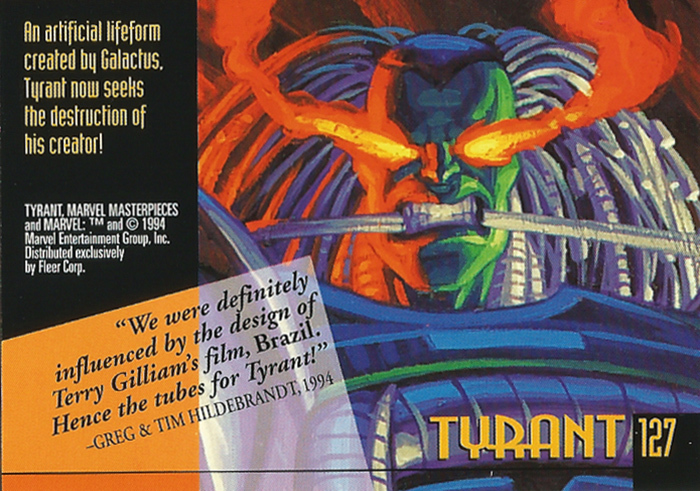 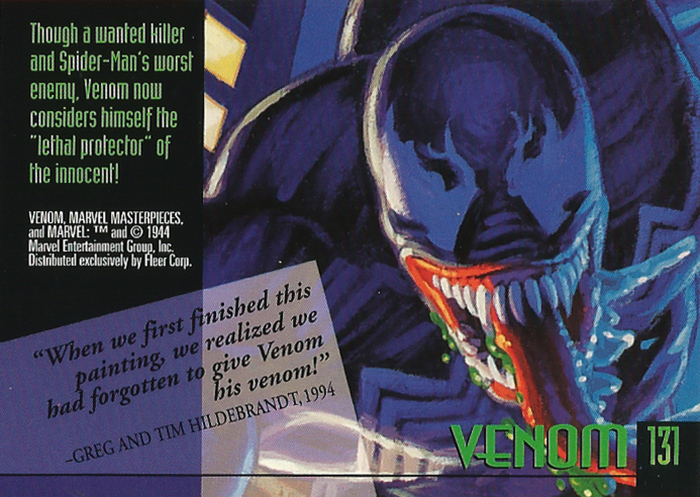 Marvel Masterpieces 1994 Edition Trading Cards by The Hildebrandt Brothers, cards #121-140 | 'TAIN'T THE MEAT… IT'S THE HUMANITY! 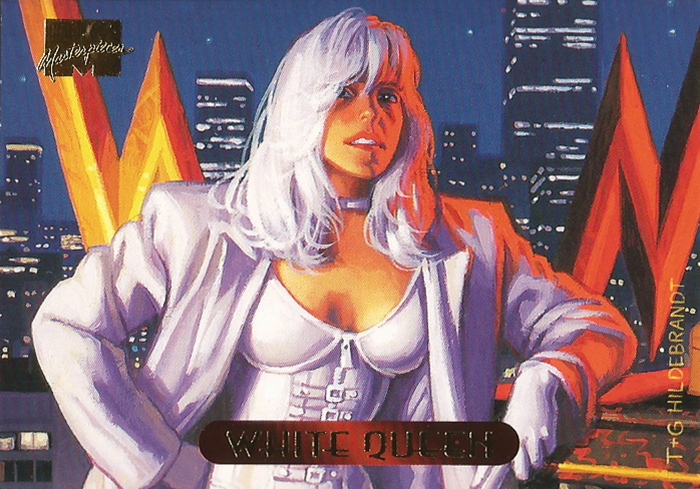 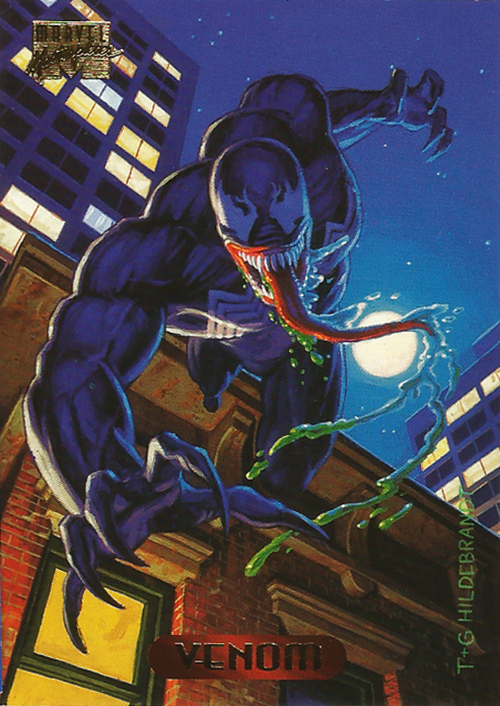 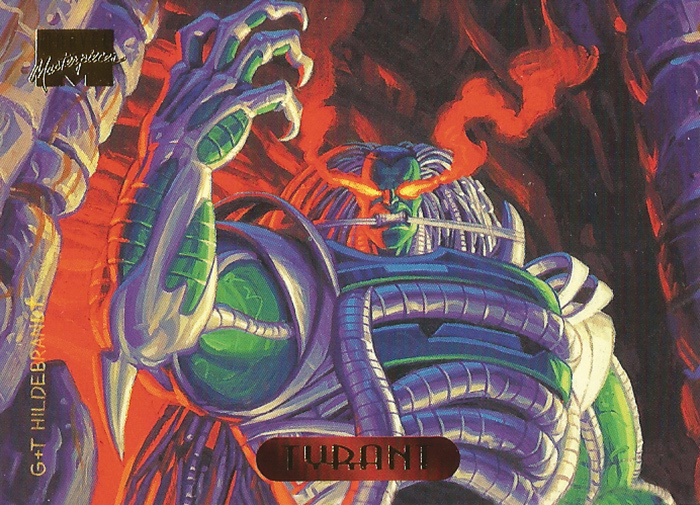 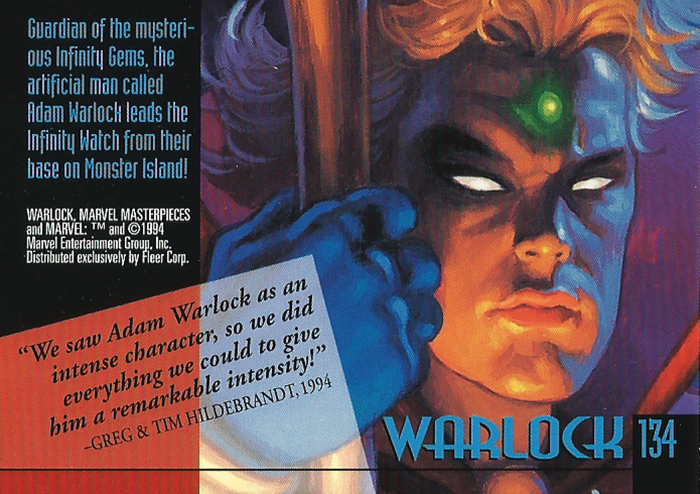 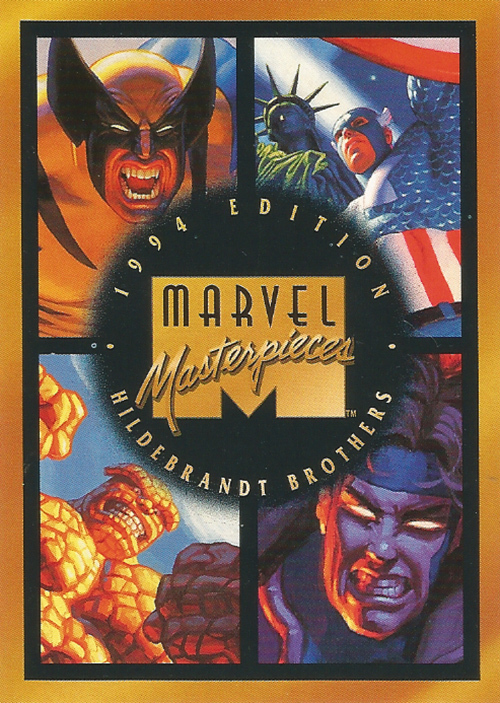 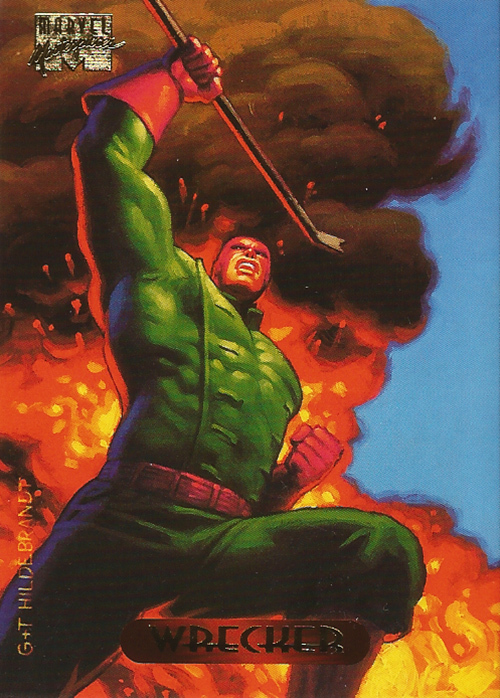 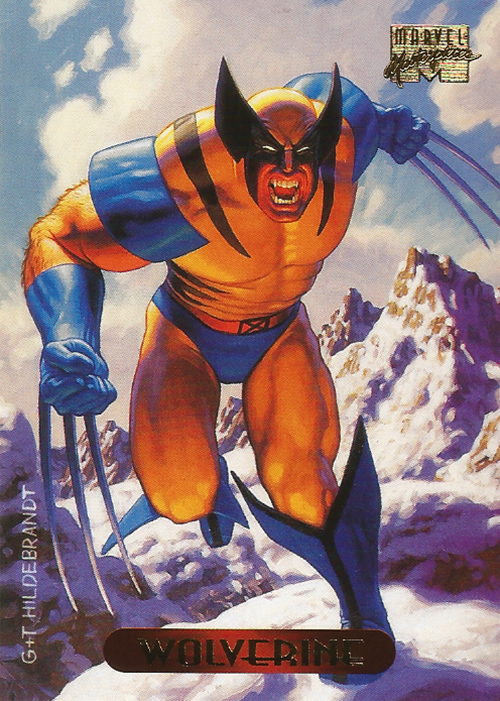 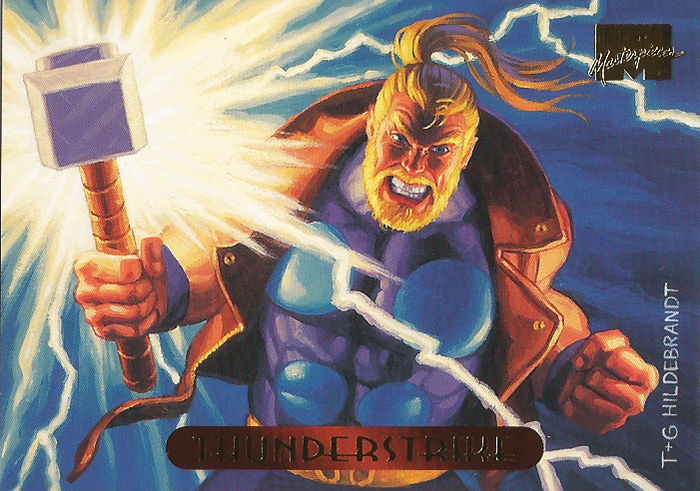 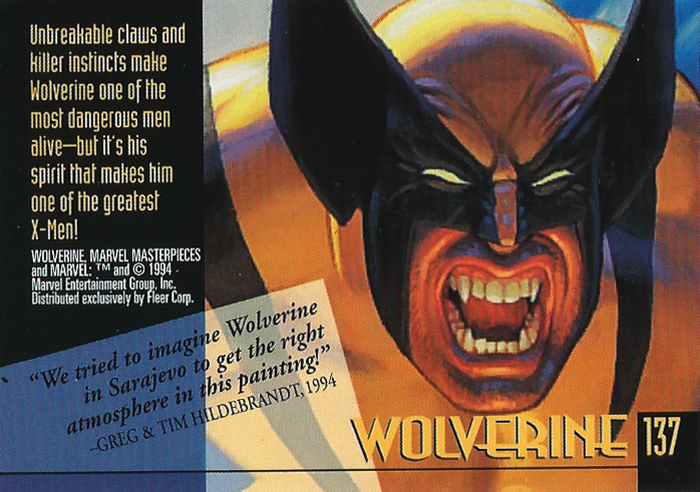 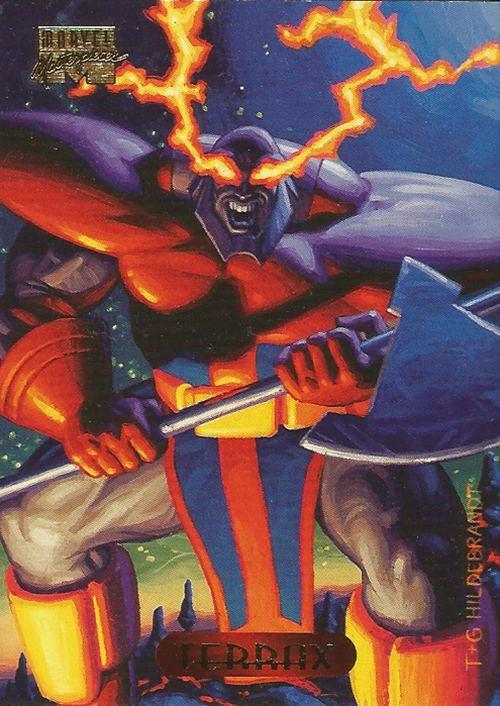 Marvel Masterpieces 1994 Edition was a trading card collection by renowned fantasy artists The Hildebrandt Brothers and featured paintings of heroes and villains from the Marvel Comics universe. 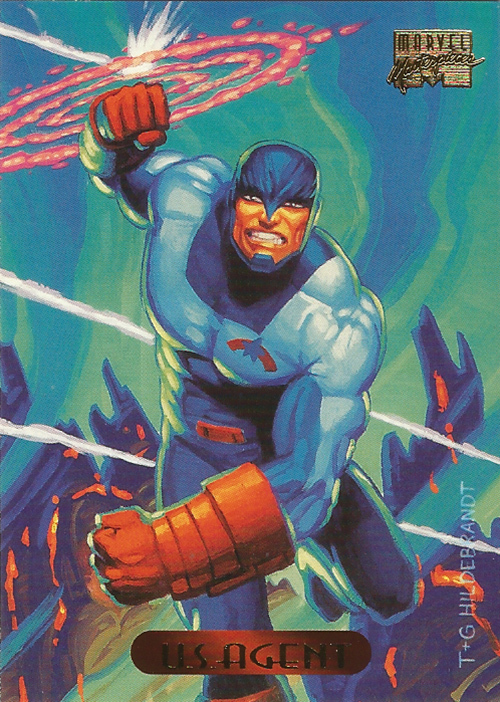 This batch concentrates on the last cards in the collection, #121-140. 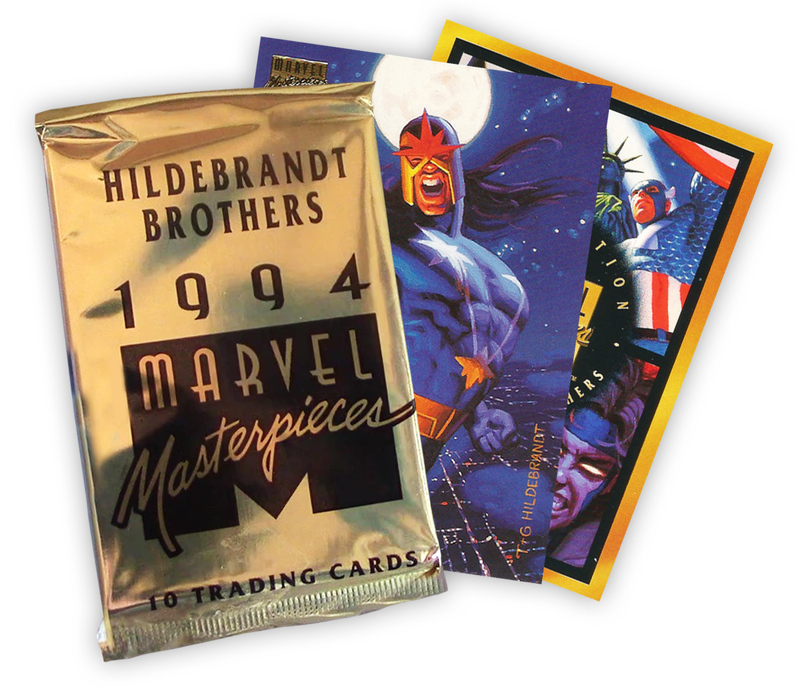 Released by Fleer the set comprised of 140 trading cards that measured 2½ x 3½ inches and shipped in blind gold foil packs of ten cards per pack. 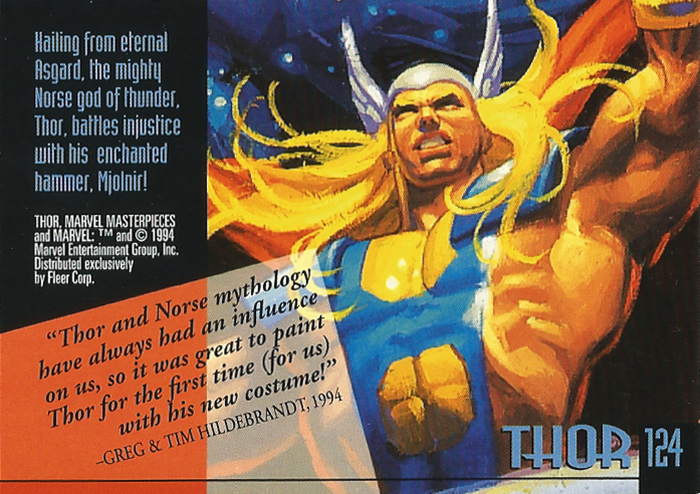 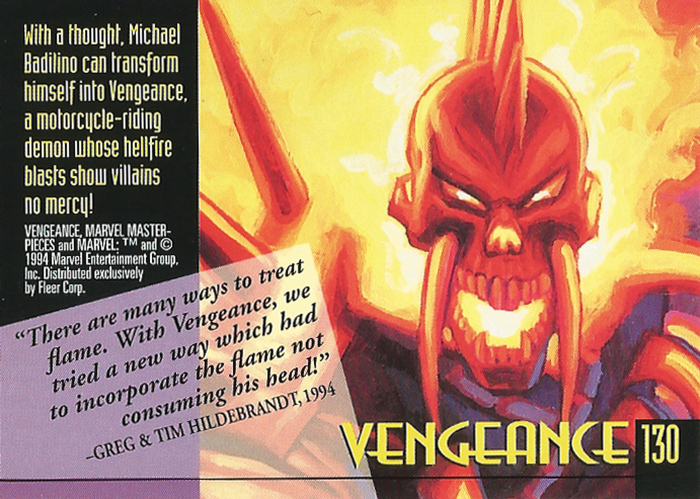 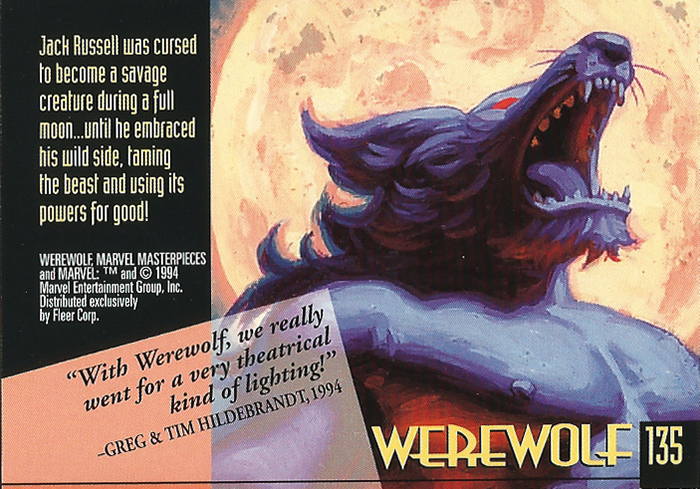 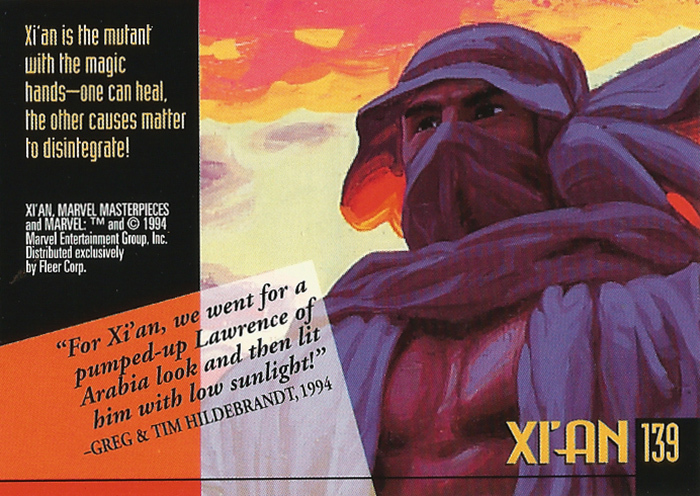 Each card featured a collaborative painting by Greg and Tim Hildebrandt on one side, with a biography of the character and a short caption by the brothers on the reverse. 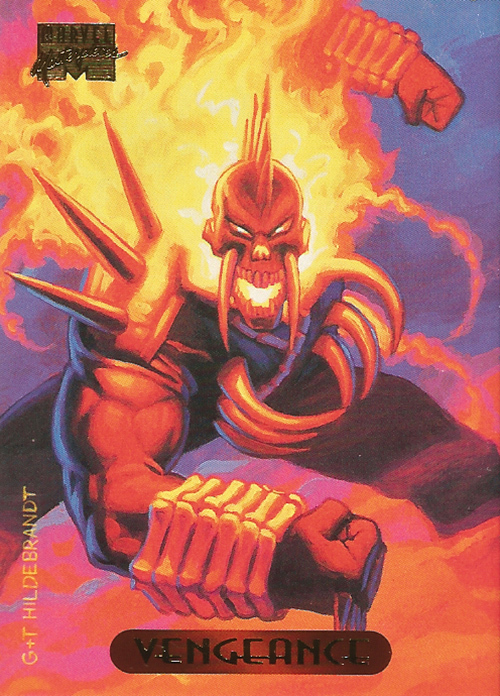 Chase cards were also inserted randomly into packs, including gold, silver, bronze and red holofoils, a ‘Power Blast’ subset as well as ‘Signature’ cards. 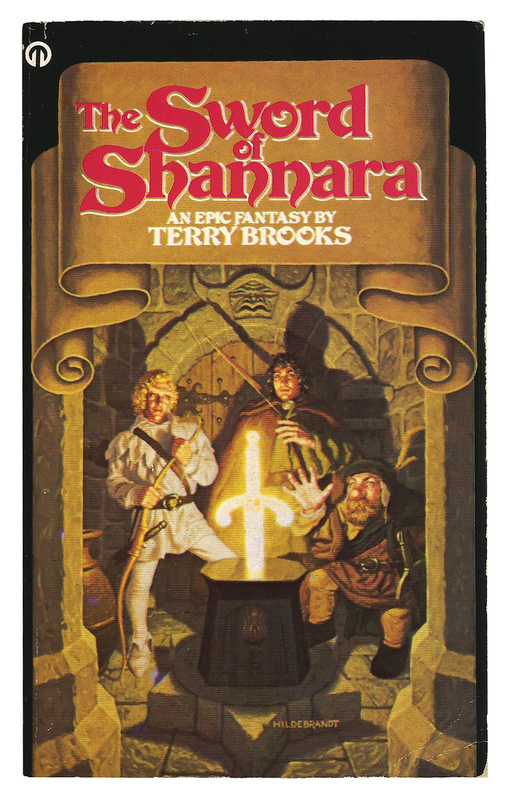 The Brother’s cover to Terry Brooks’ The Sword of Shannara. 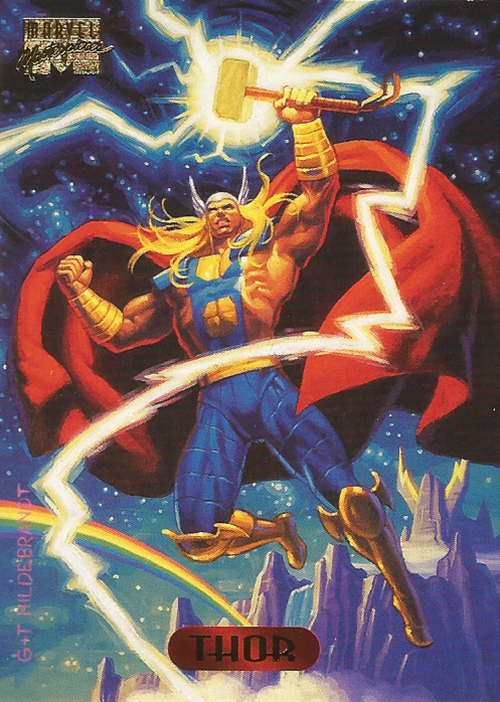 Greg and Tim Hildebrandt were twin brothers who had achieved fame in the mid-1970’s when their paintings based on the fiction of J.R.R Tolkien appeared in three bestselling calendars. 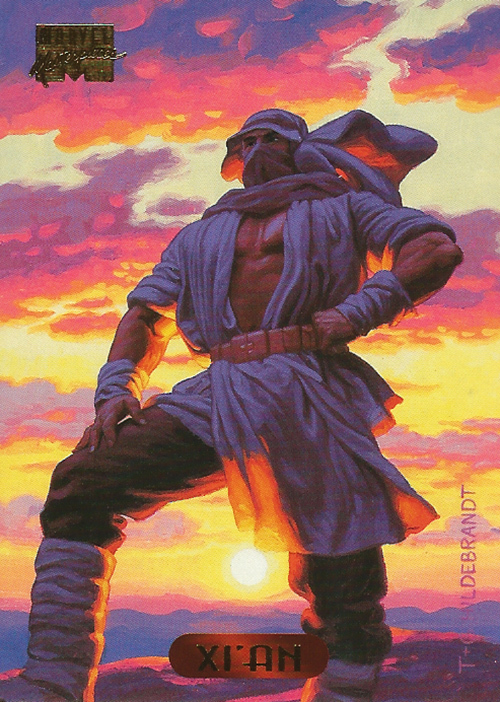 The Hildebrandt’s fame spread further when their work featured on the cover to Terry Brooks’ bestselling fantasy novel The Sword of Shannara in 1977, and on the original one-sheet poster for Star Wars. 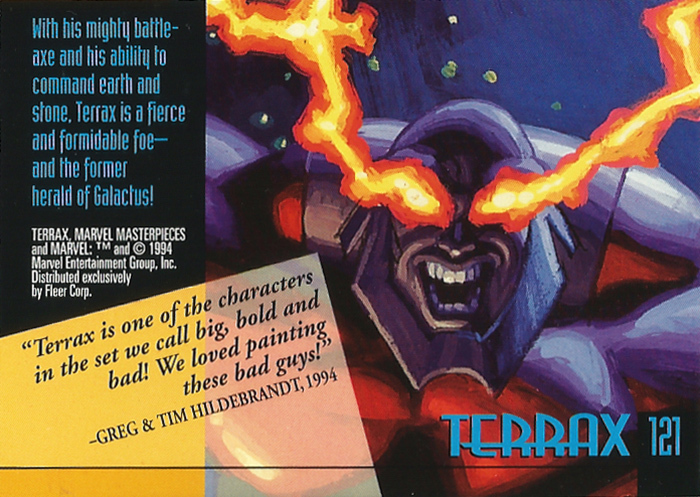 Although Tim and Greg stopped working together in the early 1980’s they reunited for this trading card collection in 1993 and continued to work together until Tim’s untimely death in 2006. 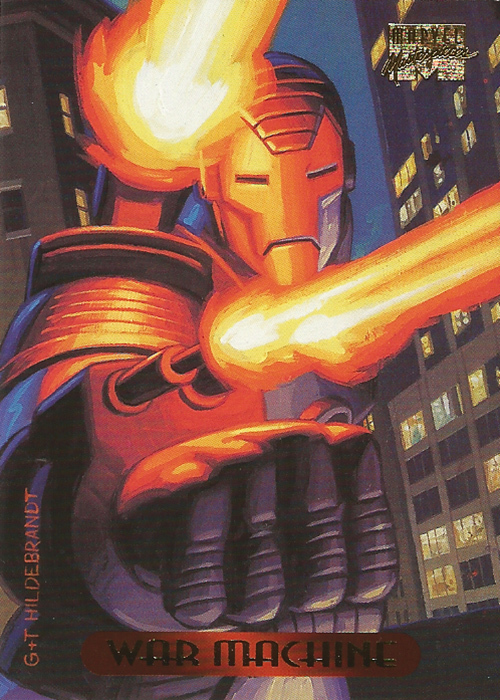 In my last post I stated that some of my favourite paintings from this collection appeared in cards #101-120. 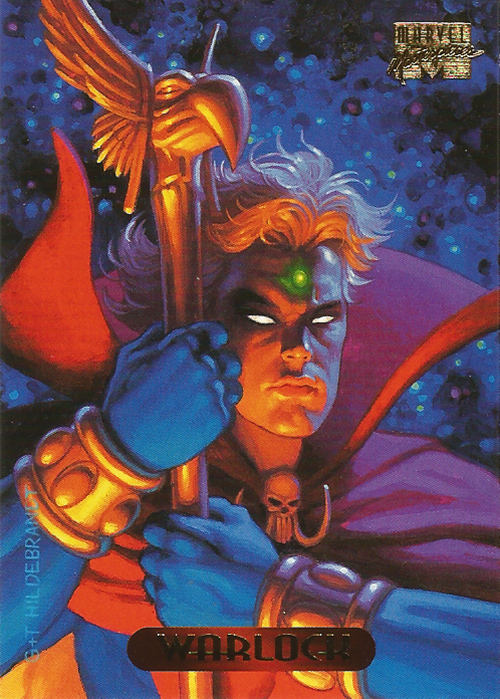 Sadly, the same cannot be said for this final batch of cards. 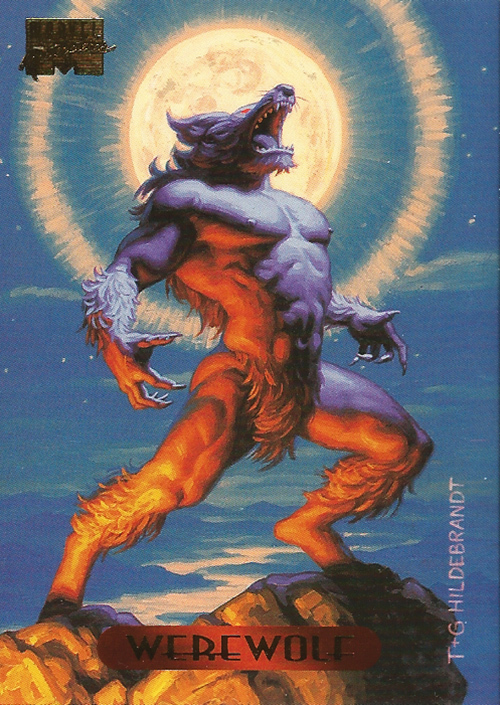 There’s just something a bit off with this last batch, and having three cards featuring bulging groin shots certainly doesn’t help. 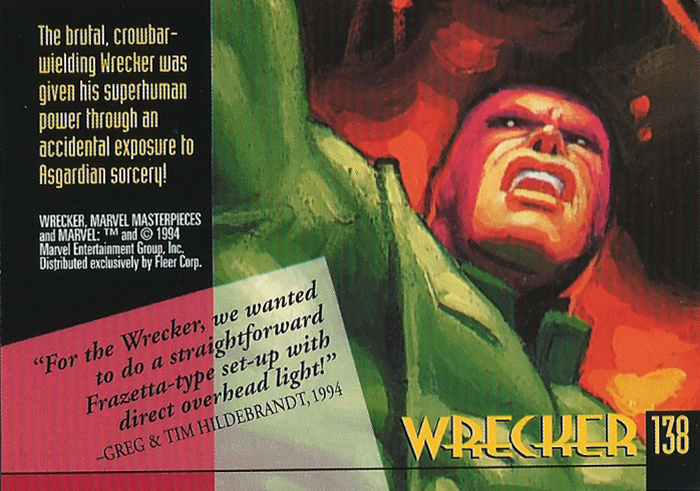 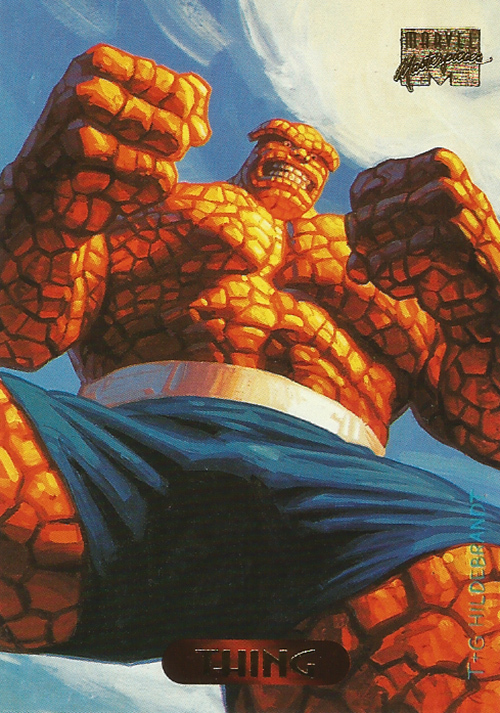 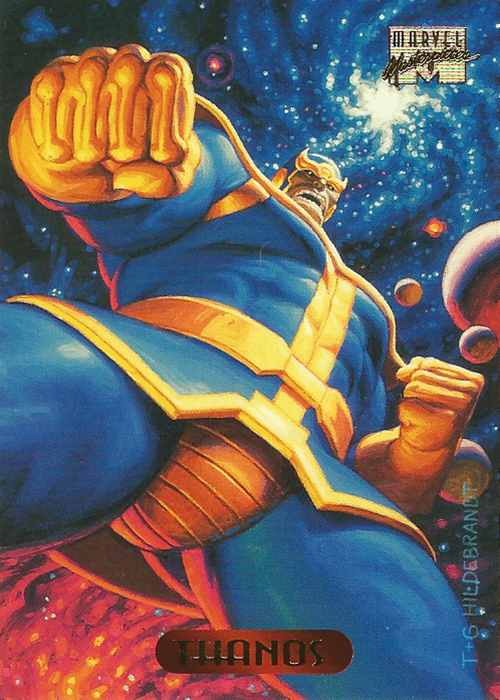 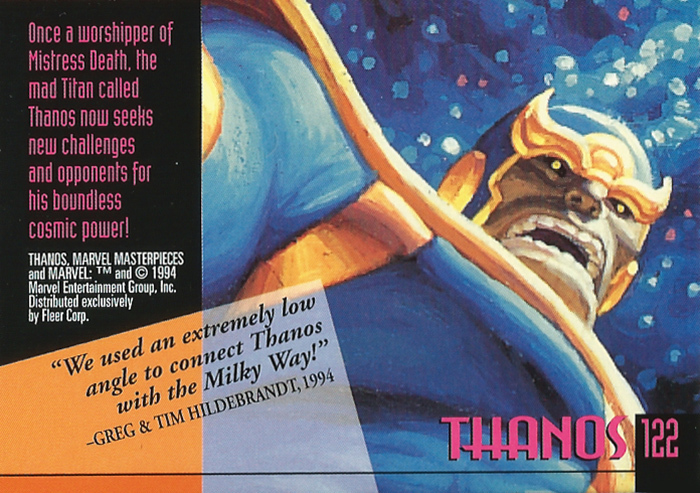 The paintings for Thanos (card #122), the Thing (#123) and the Wrecker (#138) show all three characters from such a low angle that their groins are huge in comparison to the rest of the image. 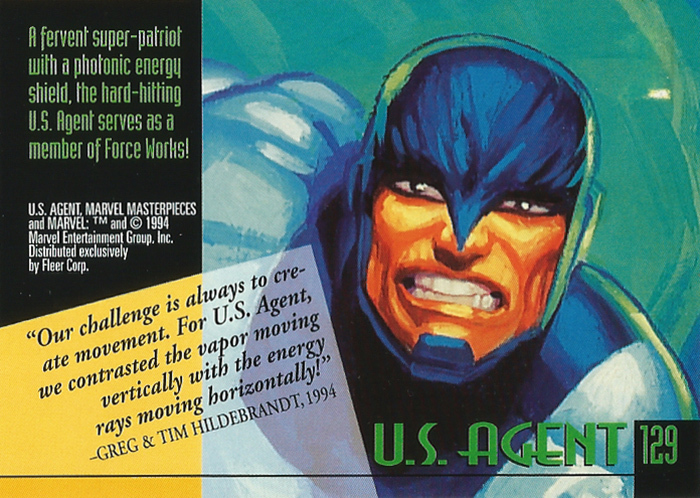 This isn’t the first time the brothers had used such an unusual angle — Captain America (#18) and Daredevil (#26), for example — but having three in quick succession is a bit much. 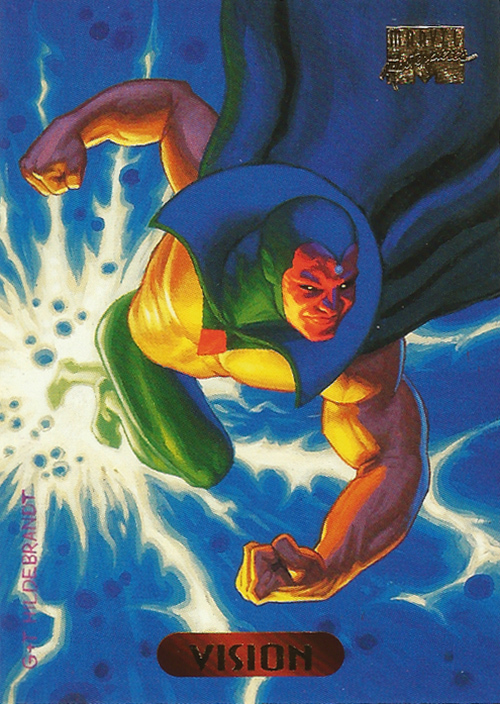 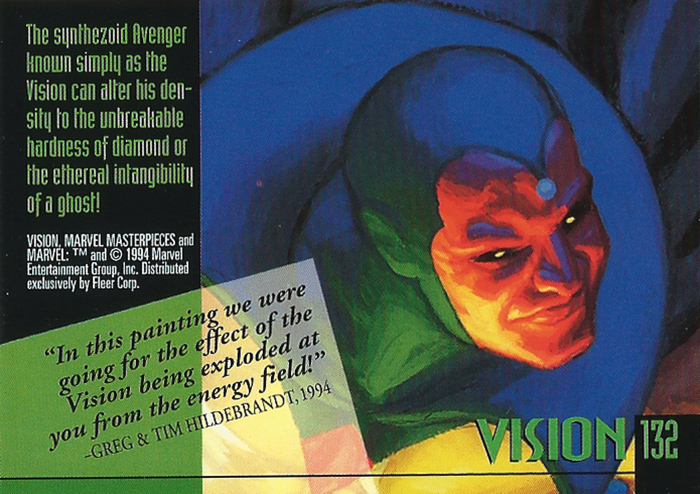 Not only that but the paintings for fan-favourites Thor (#124) and the Vision (#132) are just a bit dull (it doesn’t help that the Vision‘s biceps are bigger than is head). 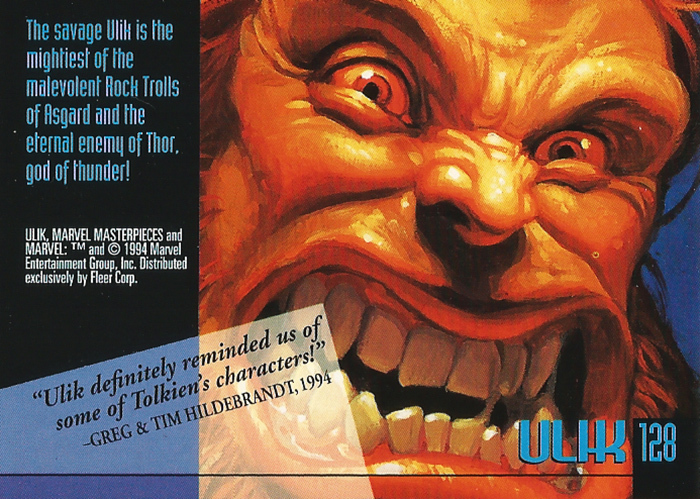 It’s not all doom and gloom though as this final batch of cards contains one of my favourites from the entire collection: Ulik (#128). 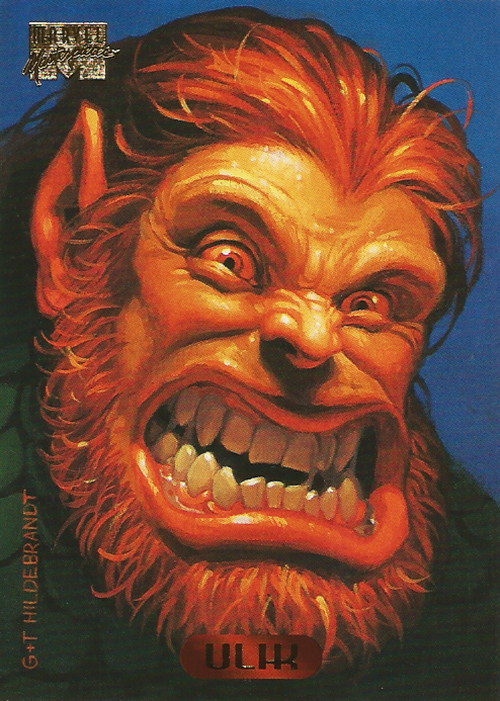 The extreme close-up on the Asgardian troll’s face is wonderfully over-the-top and dramatic, and very reminiscent of some of the Hildebrandt’s most evocative Tolkien paintings. 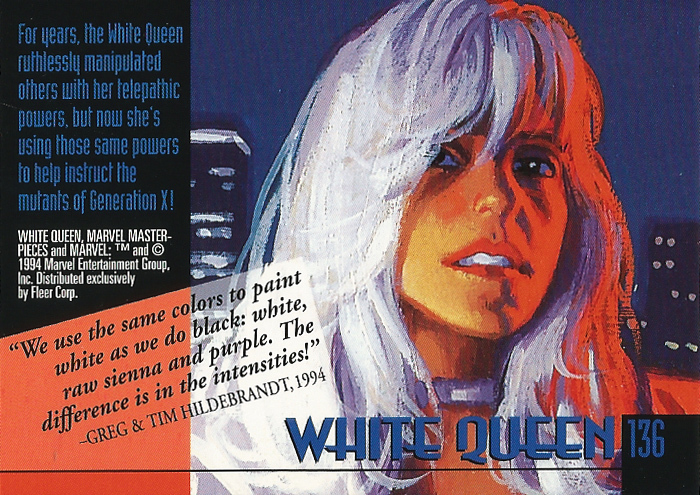 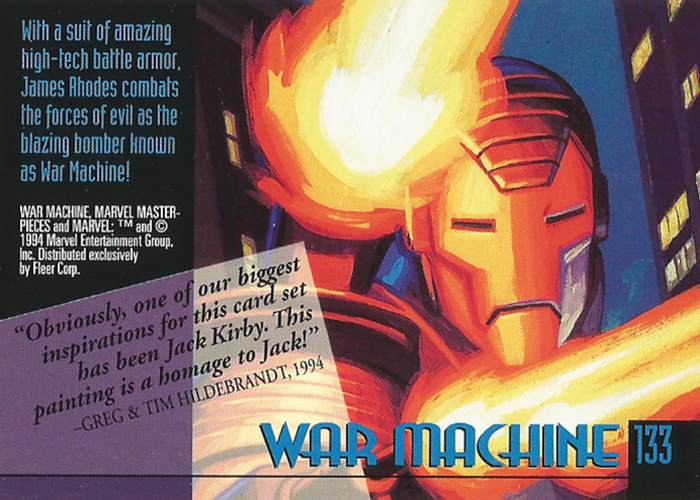 So here are the final 20 cards from Marvel Masterpieces 1994 Edition by the Hildebrandt Brothers, both front and back. 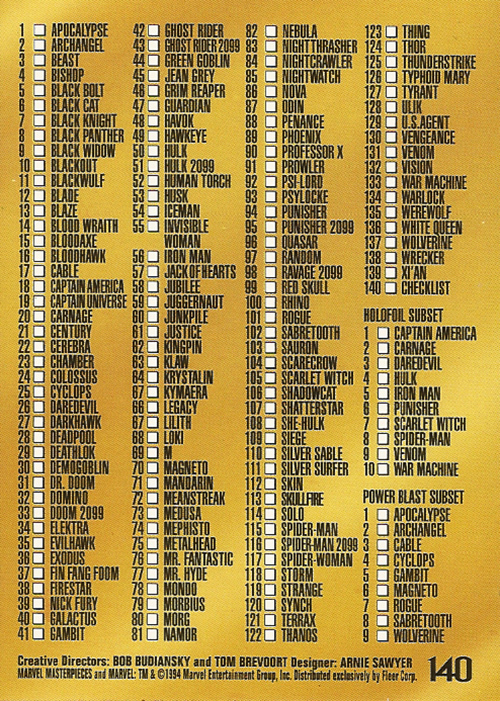 Follow these links for cards #1-25, #26-50, #51-75, #76-100 and #101-120.